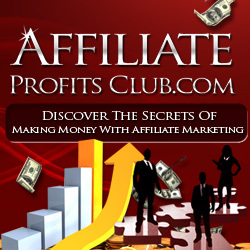 When you start out as an affiliate marketer, you might feel like you enjoy the behind-the-scenes direction of connecting buyers and sellers and making a commission off of that process. But there’s a way to rapidly increase your authority as an expert (even without having a product of your own) and convert visitors to your site into buyers more easily – and that’s by using video as a media format. Video isn’t hard to create. You can use an iPhone or a mini video camera to capture the video. Uploading it online is as easy as creating a free account on YouTube and then clicking the upload and file selection buttons. Look directly into the camera as if you’re speaking right to the viewer. You want them to feel like you’re right across the table from them having a friendly conversation. Consumers need to feel like a product is being chosen for them specifically. Have good lighting in the room when you create a video. You don’t want to have a dark setting or project an eerie orange glow in the room. Natural sunlight is perfect, so if you can open the curtains and let the sun shine it, it will work wonderfully. Speak up so that your viewer can hear you, and try to minimize the background noise. You can either make sure the house is quiet, or use some noise canceling headphones and microphone so that you keep background noises to a minimum. Try not to speak in a monotone voice. There’s nothing worse than watching a boring speaker try to make someone enthusiastic about buying something. On the other hand, there’s no need to sound like one of those loud used car dealership commercials, either. Just be natural. Don’t go off a script, but do have your thoughts organized. Some people mistakenly read their product review on camera. Unless you have years of experience that allow you to achieve this flawlessly like a newscaster, don’t try it. Instead, create a few bulletpoints to help you keep your thoughts on track. You don’t want to lose focus and sit there for 30-60 seconds saying, “Um, where was I? What did I want to tell you about next? Oh yeah…” That looks unprofessional and people will click out because they don’t want to wait for you to finish.